The Bathurst 12 Hour as an event continues to grow in both size and stature. After moving away from a production car based race, in a contentious decision at the time, to a GT based program, the success of that decision has been validated. However, man does not live on GT alone so there were a number of support categories including the Group S cars. Under the current regulations, Group S covers a period from the 1940s through to the end of the 1970s. Groups S itself is an umbrella that covers three sub-categories; Group Sa, Sb, and Sc. Sa is for the more elderly cars, starting from early 1941 through to the end of December 1960. 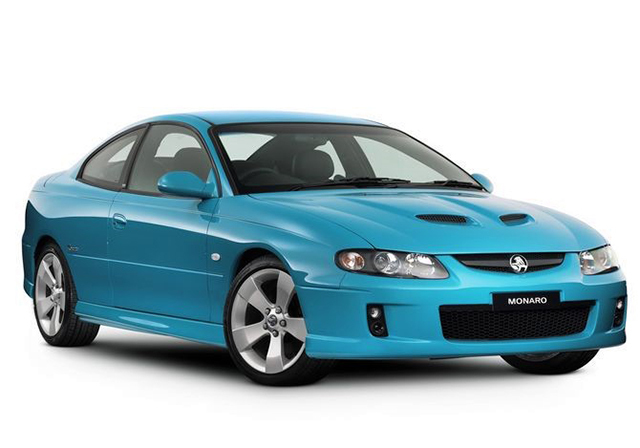 It’s this category that appeals to the drivers of British cars such as the MG-A, Sunbeam Alpine, or the “Bugeye” Sprite. Sb cars cover a slightly more compressed timeframe, being January 1961 through to December 31 1969. There’s a vast appeal here to many marques, so Corvette Stingrays, Alfa Romeo GTVs, Porsche 911s, Shelby Cobras, and more will feature. Group Sc rounds off with an inclusion of cars from January 1970 through to December 1977 (although we’ll see cars from 1979 racing) and Porsche stars here with the ever green 911. There’s the occasional De Tomaso Pantera, Datsun 260Z, and Triumph TR6. Sb covers a larger range. Sba and Sbb are the same as Group Sa, with Sbc ranging from 1800cc to 3000cc, whilst Sbd is from 3001cc. Sca is slightly different, covering up to 2000cc, then Scb just 2001cc to 2600cc, then Scc 2601cc to 3500cc before finalizing with Scd from 3501cc and up. 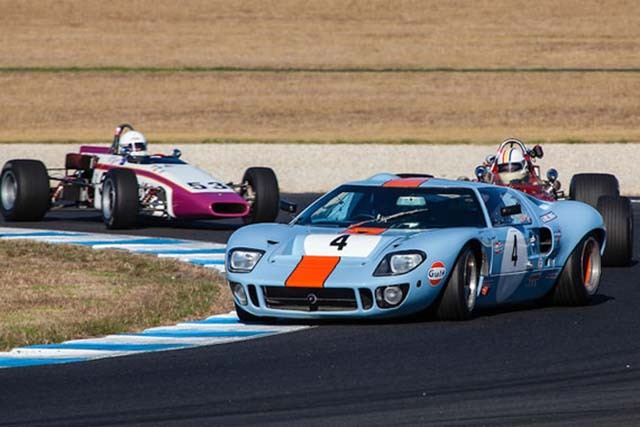 2018 has a pretty full calendar for these venerable machines with fourteen race weekends; March 2018 has the annual Philip Island Classic whilst mid April has the inaugural Shannon’s Nationals at the new South Australia Tailem Bend circuit. There’ll be visits to Morgan Park in Queensland, Winton in northern Victoria, and December sees the final round for the year at Sydney Motorsport Park for the fabulous Tasman Revival meeting. 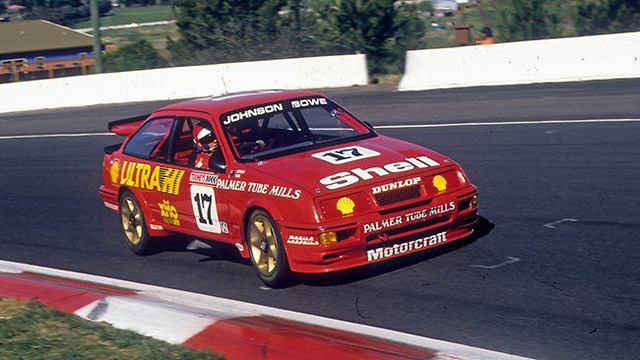 Group S ran three races at Mt Panorama during the B12 event. Race 1 was Friday February 2 and was shortened to five from the scheduled seven laps. It was a fifty five car field that featured vehicles from all three sub categories with twelve different marques and it was a fifty one car field that finished the five laps. Ian Ross in his 1966 Shelby GT350 managed to beach his classic machine at the Chase in lap one which resulted in a safety car being called out for three laps. Of the fifty one that finished race 1, sixteen were Porsche 911 and one of those, piloted by Geoff Morgan in the Sc class, took the chequered flag. In fact, the first three cars were Scc followed by two Scd. The quickest Sa car was in the Sac category, Zack McAfee in his tidy 1956 Austin Healey. Unfortunately for Morgan race 2 was a fizzer on the final lap as his car’s distributor failed. This handed the win to fellow 911 pilot and Morgan’s good friend, Wayne Seabrook. There was a measure of carnage at the rear of field on the first lap with Colin Goldsmith’s immaculate 1959 Austin Healy being punted by a spinning Steve Constantinidis is his 1972 Corvette. 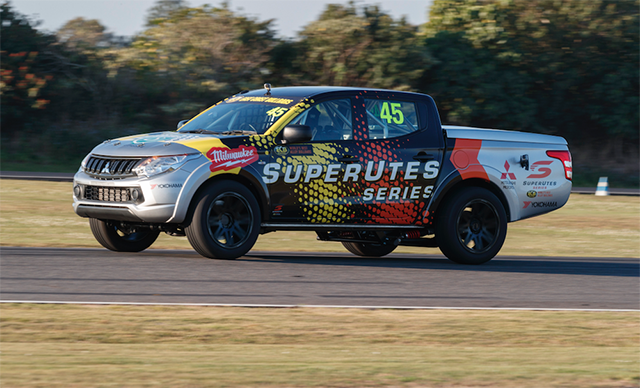 Race three was curtailed to five laps in a time critical finish. Seabrook again took the chequered flag. Doug Barbour in his 911 finished with a flourish by spinning on the final lap and managing to still snare fourth. 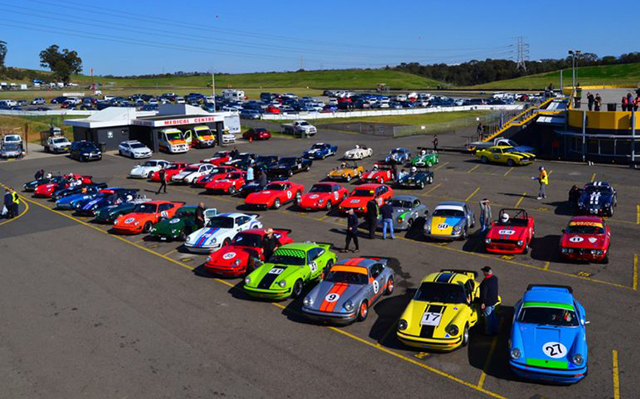 Did you catch the classic car action at the Bathurst 12 hour? What did you think? Head over to the Rare Spares Facebook page and let us know in the comments section below.